First thank you Shira for doing this event =D. 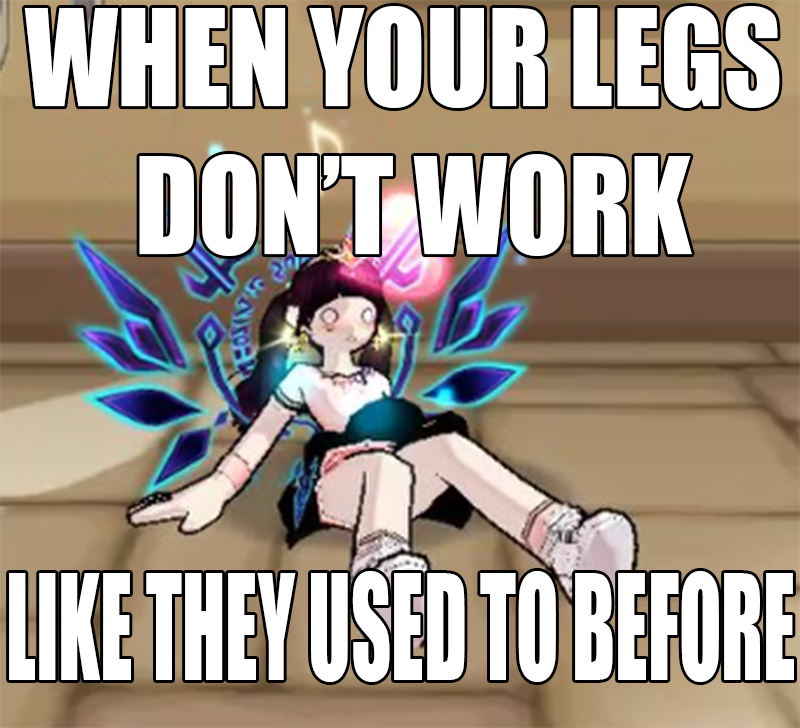 I heard about Elsword when I was playing GrandChase. I don't remember how exactly I know this game, but I think I probably heard about this game from the people around me. I don't really remember exactly how I started to play this game, but I do remember I started to play this game with a group of people. That's how I get into the game. i) I started playing Elsword because my group of people was playing the game together.ii) I am attracted to Elsword because I like the Anime-RPG style looks it has. iii) I enjoy the systematic feeling of the enhancement/attribute/stat system underlining logic (those equations of the shard required, the damage increased of the enhancement), this is the first time I discover a game has so much correlation with equations and I see beauty in it. iv) Also I think KOG have some priniciple: instead of restricting character, they maximize character. What this means is that when they are designing character, they think more about how to maximize this character's potential instead of thinking about balance first (this could be a problem too 0.0|||). So to have an example: Sakra Devanam's suppression's range is really OP, but they are dare to create such skill --- I think they are dare to create good character skills. Also I really like the idea of transcendence, it sounds Awesome! You transcend! ii) And to play sparring with guild mate, especially the team match. Team match awesome!! iii) Plus make my Ara really cute. iv) Also sometimes training myself to read the battle, devise counter strategy and react logically in PVP - making myself a better PVP player. When my cute LittleElia was around LV50, she got her first? Boss drop LV50 Spear! I socket it to full WIND III because I like wind!! I really really like it! Holding that spear to fight is really good memory to me. I don't really know about strong/weak gear at that time but for sure I really enjoy playing this game. Now that spear is store in my bank and is treated as Heirloom in my account. New Ara in my account will get to use my Legendary LV50 XD spear when she reach 50. Recently I thought I lost the spear so I feel hopeless, but then I found out it was hiding in my account and I was really happy again! 4. IGN and Pick 2 items OR 1 Category. My IGN is LittleElia, and my wishing item are +9 amu and +8 amu x 10 for now. I might change this later when you later post the list of prize. 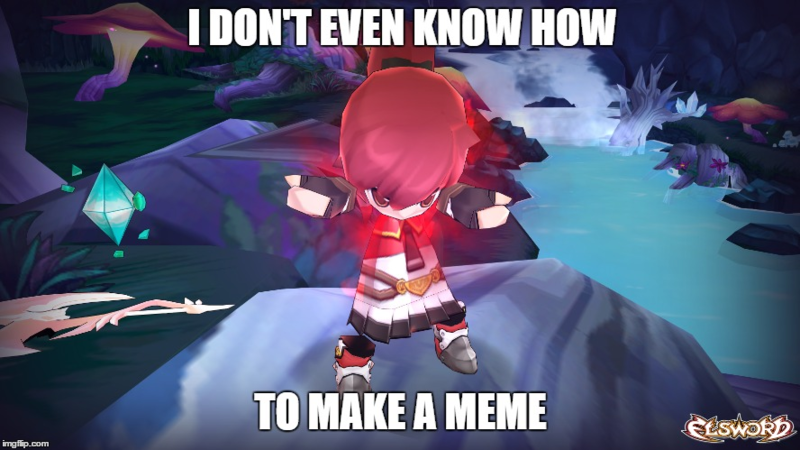 About 3 years ago or so, when I still used Facebook, my friend posted a screenshot of his character on Elsword. At the time I was just starting to get into MMORPG games (or any games in general) and I decided to try it out. Tbh, it was boredom. It was around summer and I saw an ad for the game on youtube and accidentally clicked on the ad lol. It actually seemed kinda interesting so I figured I would give it a shot and here I am now. I started out of boredom. Gameplay kept me around for a bit but ended up going on hiatus for a long while. What stopped me from quitting this game when I came back back in summer of 2014 was, quite frankly, getting involved in the community. If I hadn't really started phoruming and got to know people, I would have left after only a month of having came back. The people I've come to know are the reason I'm still here. Whether still being here is a good thing or not idk, but I am here, and you all are the reason why I'm still here. -Write a 5+ sentence on what types of events would keep the game interesting. Considering I don't have a single creative or artistic bone in my body lets go with a memory, lol. Now the question is, which memory to choose. I can't say I have a favourite memory, since my memory is pretty bad, but I think one that definitely stands out is the Ascalon Meet-Up we had. Yes, that's right, Ascalon. I forgot which raid phase it was, but I believe it was Eltrion phase 1 as we also, subsequently after (and I think during?) had a Maru Meet-Up lol. It was so stupid, but amazing at the same time. We all hoped onto our ascalons or marus, and just, derped around, jumping in circles and ♥♥♥♥ in Clocktower Square (since that was our raid meeting area). At some point we all got on different mounts and started jumping on a random person that was there. We were all in a call so it was so stupid but amazing. And, if memory serves right, after the ascalon meet-up we ended up going into the field to the right of Clocktower and had helicopter asmr. You know how Maru makes a helicopter sound when you first start the air dash? Well, if you spam the left and right keys fast enough you float and rise in place and the sound loops over and over. At some point we then decided to line up all our Maru's and see how far their c attack goes, so we all did it at once. Someone used their HA by mistake on the tower, but since the tower zooms out you could see the whole thing, se we decided why not try doing multiple at once and see what happens? We positioned ourselves at different positions in the tower and then counted down and released our HAs. It took a few tries to get it in sync, but when we got it, it was beautiful. That night was probably one of the best memories I have of derping around with friends in game. now, idk if I got the order of events right or not since my memory is really bad (someone can fix it if I botched it up lol), but it all happened at some point or another, and it was great. 1. I was playing lots of different MMORPGs at the time and saw so many ads for Elsword, I ignored them at first but then eventually stayed. It was the first MMORPG I've played that I didn't drop within half a year, I love the graphics and gameplay. 2. I started playing because of the graphics and gameplay. Elsword is imo the best example of how 2d or well 2.5d games can be fun. I stayed on Elsword for so long thanks to my friends/guildies and because I just flat out enjoyed the game more than anything. Prize list has been updated! [b]I joined elsword one day because i love anime and i loved anime related things. I remember stumbling onto the game randomly while browsing for new games to play, also my friend recommended that i should play this game too. Write a 5+ sentence on what types of events would keep the game interesting. I think events that would keep this game interesting are events such as more job change events. Job change events are great and even bring my friends back into the game to play since they get to switch their character and have more variety of skills.Also, i think more free costume events are nice, but not ones that require too much of a hassle to get. 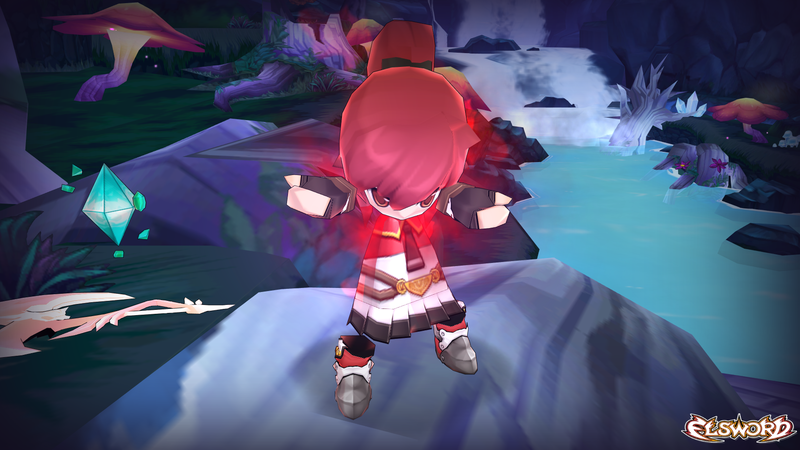 I personally love to get costumes on new characters i make since i feel "naked" in a way without them, Elsword is "dress up" after all. Maybe there could also be a jump event too, which are my personal favorite ones and make all my friends literally come back and play the game for awhile. Leveling a new character that can be boosted to a higher level instantly for free and no effort? Sign me up! I was browsing the net one day and i was on youtube and my friends came to me and told me: "hey, let's play this game i found" and i asked what game and then i ended up here. I don't regret that my friend brought me here though! (It's a shame he quit though ;~ Honestly we just started playing a lot from there. 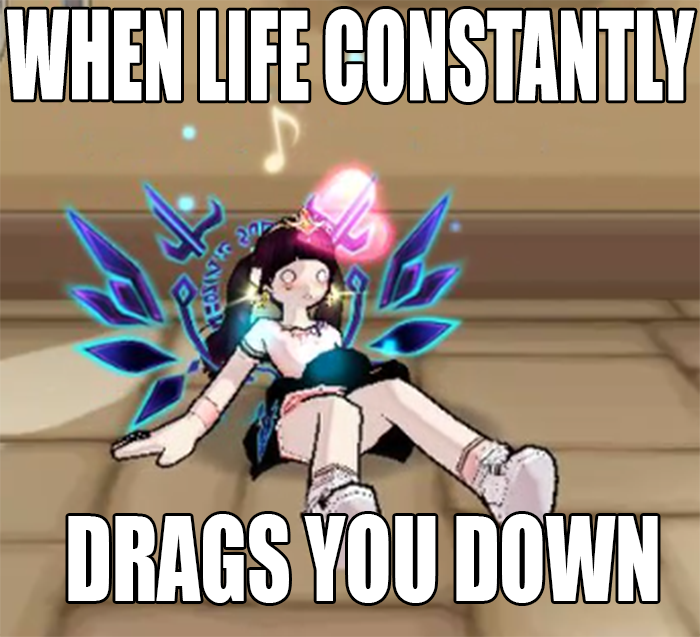 Well i love to play Ara (SD is bae <3) and i love the visuals in this game, i find them really cute! I also like to have lots of costumes and i love the clothing in this game since they are mostly designed in a cute way too. The skills are also really nice to look at, and i personally have fun with Ara more than any other character. Quick question so I know how to edit my post (since prizes were updated), is the bank full of stuff considered as a category or an "item"? What brought me to Elsword: I was just scrolling through some boring website reading posts and stumbled upon the web advertisement of Elsword. Having seen it appear on my advertisements almost constantly and looking for a new game to play, I decided to give Elsword a try and have been with the game ever since. The reason why I started playing and still play: I was formerly an admin for a large community in the previous game I played before entering Elsword and was looking for new games to play and potential to revive that same community. Also the fact that at the time I joined there was a free 1 day AA set being given as a trial it made me want to start building a large amount of ed. Since then I have remained guildless until last year then decided to join [Alphabet ]after a lot of bugging. Now it is a second home to me and I would log on to see everyone. The most recent Phoru Academy ingame event has been keeping me interested as there is a competitive aspect to it. However the Valentine's dungeon event started to get quite boring after the 10th run. So events that require more than one player in the ingame dungeons would be nice and would bring some variation. Also an event that gives essential items or noteworthy costumes would be a good idea as it would allow the player to get things such as a b-slot or even ERP coins. It was really frustrating when I would get nothing but useless items during an event that I would never use (pots,etc). Finally more fashion related contests based off an accessory or costume piece would be nice as it makes players try to create an outfit that they would wear themselves. 1. My brother heard about it from his high school friend, so he decided to download it and play it. After seeing him zzzz mobs with Raven, and trying Eve out on his laptop, I decided, why not download it on my own laptop. 2. I guess the artstyle was nice, and how each character had a designated weapon (I remember calling Eve drone girl). I also loved how flashy the skills were and how much progress I was making. I was excited for each update coming even though I didn't really understand it at first. 3. My favorite memory in Elsword was definitely the raid era. It was actually how I become friends with quite a few people now just because of being invited to a raid group. Similarly to Stratagem's I distinctively remember Maru ASMR helicopter, clash of hypers, and Ascalon meet-up. We were always messing around waiting for raid to pop up, and it was definitely one of the most happiest times of my life even when there was stress because of raid. Raid, while annoying, allowed me to be a bit OP while making a lot of friends. I have very poor memory so it sort of jumbled up together as raid, but I still remember the laughs I had back then. Thx Perkisas.